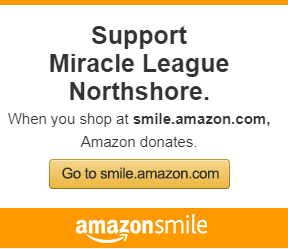 Your donation to the Miracle League Northshore will help make the dream of playing team sports a reality to boys and girls of all abilities. One of the greatest obstacles for our kids to overcome in playing youth sports is a natural-grass field, which can be difficult and unsafe to maneuver from a wheelchair or with crutches. 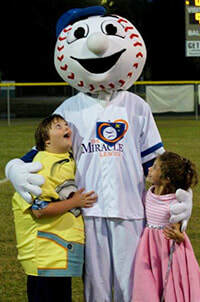 The Miracle League provides an artificial surface field that is safer and easier for kids with disabilities to use. The program also pairs volunteer “buddies” with our players to help and encourage the learning of each sport, often boosting the player’s self-esteem and fostering friendships in the process.